Today is Good Friday. One of the most beautiful and haunting hymns that speak of the crucifixion of our Lord is the spiritual, “Were You There?” It is simple and to the point, like all of the spiritual songs of the African-American slaves. Each verse has a simple phrase describing the atoning death of Jesus on the Cross. But what gives me chills is the soulful expression at the end of each phrase. Oh – oh – oh – oh! Sometimes it causes me to tremble … tremble … tremble. I’ve always viewed this spiritual as a reflection of what took place in the past, that the event of the Cross was something that happened two millennia ago. I’ve also assumed that the singer of this song is wondering what it would be like to have been there at the time of the crucifixion. But I realize now that there is another possibility. The Cross is the ultimate nexus point in time. It is not only the instrument used in the death of our Savior; it is the “cross point” where all of human history intersects. It is the door for the past, present and future of humankind to meet. And it is there we must “cross” that threshold in order to leave our current reality of death and enter the new reality of life in the Kingdom. In the stories surrounding the Cross, you and I are there – if we enter into this nexus. I am there in the crowd that cried for Jesus to be crucified. Every time I sin, every time I take the throne of my life in prideful defiance, every time I choose to be “God” of my destiny, I am crying out for the death of Christ. But I am also there as the women who courageously followed Jesus and, as a minority voice, cried out for love and righteousness against the worldly wave of hostility and injustice. I am Barabbas. I am the murderous sinner who was pardoned, while Jesus took my penalty and my pending execution. But I am also Simon of Cyrene, called to carry the Cross and walk with Jesus down the “Way of Suffering,” not fully knowing how this inconvenient suffering will later serve to produce true Life and transformation. 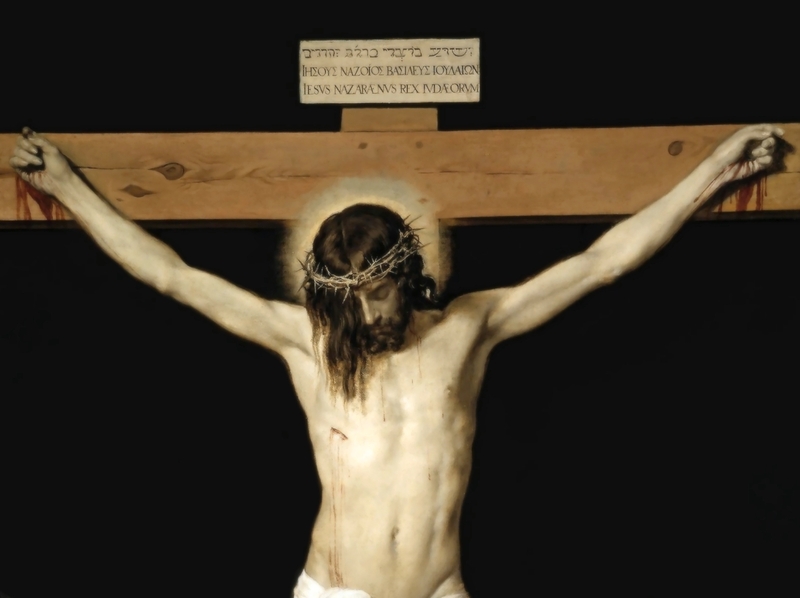 I am the thief on the cross who cursed Jesus; my words of mockery and disdain coming from the venomous well of self-centered entitlement and bitterness. But I am also the other thief, stricken with grief and regret over a poorly lived life. Yet, humbled as I look to Jesus as my only hope for redemption. Most of all, though, I am on the Cross with Jesus. My sin affixed to him with every blow from the cat-of-nine-tails, every pounding of the spikes, every tearing from the crown of thorns, every drop of spittle spewed in contention, every insult hurled in anger, and every ounce of burdensome weight that squeezed life from the Nazarene. And so I died with him. And I was buried with him. But I will rise with him, too. Oh – oh – oh –oh. Sometimes it causes me to tremble! Yes, I was there when they crucified my Lord. And, gratefully, that is why I am a Whole Life Worshiper of Jesus Christ.